Today is International Day of People with Disability, which celebrates the achievements of people with disability. No one likes a celebration more than Melbourne Fringe (come on, we throw a party that goes on for 2.5 week every year), so we are not going to miss this chance. 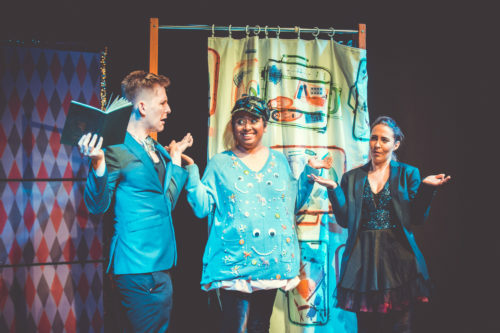 Melbourne Fringe aims to make our Festival as accessible as it can be, so on this International Day of People with Disability, we are celebrating some of our Fringe artists Creatrix Tiara, Rachel Edmonds and Simon J Green, who presented some great events at the Festival this year. Read on to find out more about their shows and their thoughts about access and inclusion at Fringe. Most of my work explores the personal and political intersections of race, gender, sexuality, disability, nationality, and other aspects of liminality, community, and identity, especially via my lived experience as a queer outside-the-binary femme immigrant of colour with mental health conditions. My Melbourne Fringe 2018 show, Queer Lady Magician, examined stage magic through a queer, feminist, anti-racist lens, combining it with socio-political commentary and personal storytelling. This was my first ever Fringe show and it was a success. We’re coming back new and improved for Midsumma 2019. I did really appreciate the question about strobe lighting during the artist registration process! I’m strobe sensitive but I find that too many places in Australia don’t really think of it as something to consider. That there is a dedicated role for Access and Inclusion via Carly Findlay is a good start – I’m looking forward to seeing where Fringe goes with this. Image credit: Queer Lady Magician, photo by Alexis Desaulniers-Lea Photography. I am a disabled actor, writer, producer and theatre maker. I created the show Have you tried yoga? for the Adelaide and Melbourne Fringe Festivals this year. The content for this show came from personal experiences of ableism and interviews with the community; it was verbatim storytelling mixed with movement sequences and performed by myself and Martin Astifo. I’m enthusiastic about storytelling and hope to provide more opportunities for myself and other disabled performers on Australian stages in the future. 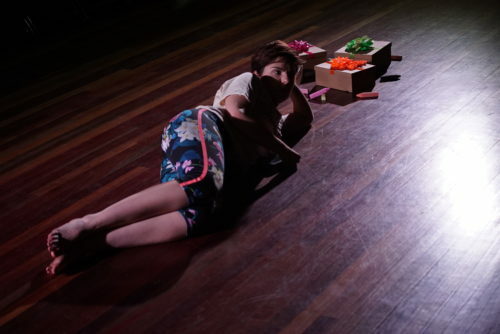 I was lucky enough to be included this year in Melbourne Fringe’s Compass Navigate Program, where I learnt valuable skills to help me through the 2018 Fringe and my career. I felt not only encouraged as an artist but assisted and valued. Fringe was clear from the start of the process that accessibility should not be an afterthought but something producers should consider at the beginning of staging a work. This meant that more shows were accessible for me as an audience member this year. The staff at Fringe, especially Carly, were very helpful and patient when assisting me to make my show as accessible as possible. Image credit: Have you tried yoga? Photo supplied by Rachel Edmonds. I’m a theatre writer and producer who took his first stab at directing this year. 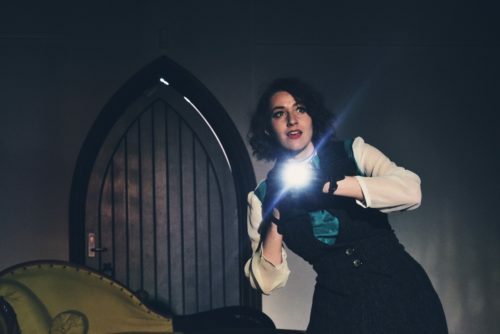 Night Terrors tells four classic tales of literary terror by or about women, brought together in an atmospheric and intimate one-woman performance by Caitlin Mathieson. As an artist with a disability, I feel it’s my responsibility to represent the underrepresented and having Caitlin on stage telling stories in a traditionally male-led genre, supported by a crew of 12 (ten of whom were women and six of whom had never put on theatre at this level before) was important and immense. When you go see or hear any piece of art, as an artist you can’t help but let your mind wander over the possibilities the works offer your own practice. When I saw and spoke to the different artists who identified as having a disability, or the artists who made their shows accessible and inclusive in some way, I found the same process of cogitation happening in an unexpected way. There were amazing ideas around access, stuff I’d never heard of that opened new paths to explore. New ideas around inclusion also came from fields beyond disability, like gender, sexuality and culture. I don’t know if it was my naïveté or that this year in particular there was an explosion of openness beyond the norm, but Fringe 2018 was a bubbling stew of access experimentation and I chewed on every chunk. Image credit: Night Terrors. Photo supplied by Simon J Green. I am a dancer and physical theatre performer. 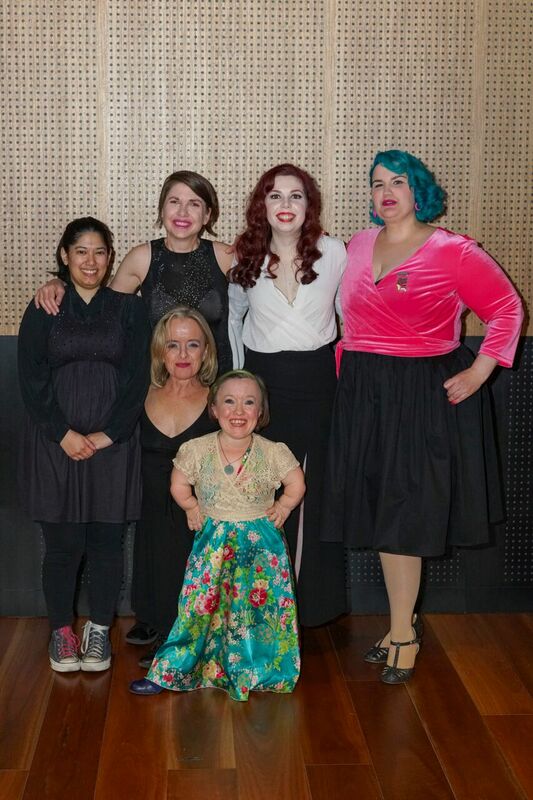 Our Fringe Show was Not Normal – a showcase of talent by women with disability followed by a discussion panel dealing with questions surrounding disability, chronic illness & the arts. Melbourne Fringe provides a festival context where artists are encouraged to express and explore and the Festival supports to showcase talent. The support includes organising every aspect of putting on a show – from concept to budgeting and advertising and accessibility. Image credit (see left hand side): Not Normal. Photo by Claire Barnier.